In conjunction with the exhibition Bondye: Between and Beyond, a panel discussion led by the cultural-exchange association HaitiaNOLA will examine the spiritual connections between West Africa, Haiti, and New Orleans. Vodou has grown into a complex, beautiful, often-misunderstood collection of rituals, ceremony, dances and beliefs. Haitianola will moderate a panel of Haitians and New Orleanians asking what their personal practice looks like today. In what ways are the practices alike, how are they different and what’s in between? Panelists will include Josh Jelly-Schapiro, Kodi Roberts, Barbara Trevigne, Fan Fan Damas Louis, Kalinda Laveaux, and Mimerose Beabrun. The event will begin with drumming by a group of Haitian musicians and conclude with a New Orleanian. HaitiaNOLA was founded by Lori Martineau, a Haitian-American artist and educator, and her partner, Linda Reno, an American photographer. The pair share an affinity for artists and cultural bearers in general, but with a special love for Haitians and New Orleanians. 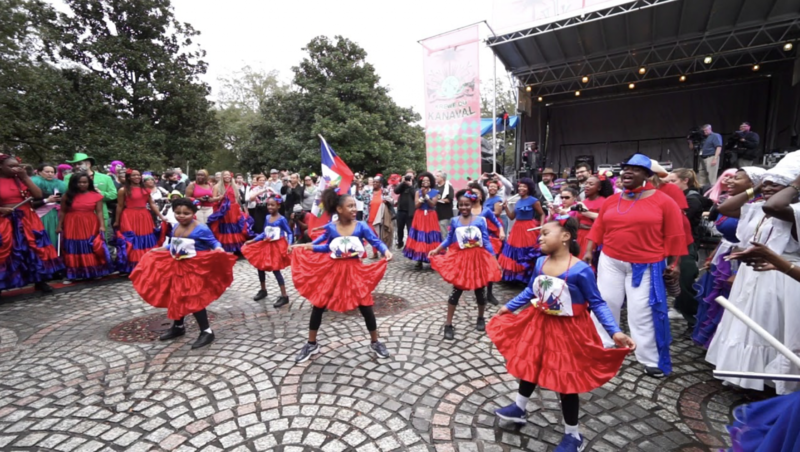 The desire to contribute to the progress and success of artists and cultural bearers, while sharing knowledge of the deep historical, spiritual and cultural connections between both locations serves as the foundational ideology of Haitianola.